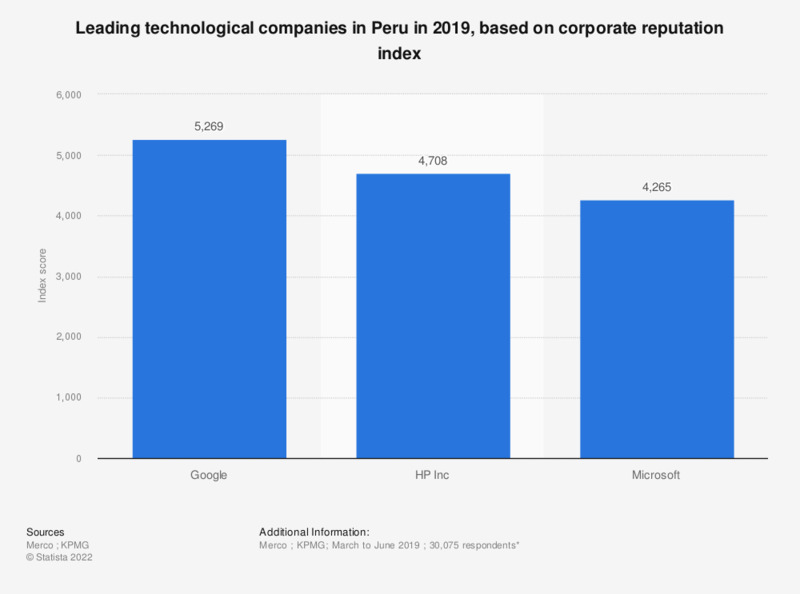 This statistic depicts the leading companies in the IT and electronics industry in Peru, according to a survey on corporate reputation conducted from February to June 2018. This ranking features the companies with the greatest capacity to attract and retain talents in Peru. Google led the list of IT companies, with a score of 4,844, followed by Microsoft, with 3,885 points.